Mendatica is a charming village in a lovely setting in the Ligurian Alps whose very existence is entwined with the tradition of transhumance. Transumanza, “crossing the land” as it’s known in Italian. The tradition is ancient, and generally speaking it refers to the seasonal migration of shepherds and their flocks. Find out how to experience it firsthand and why this corner of Liguria is truly a little explored gem. With Italy’s strong connection to Roman Catholicism, it surprises even some Italians to learn that the Bel Paese has a deep tradition of Judaism that dates back centuries. 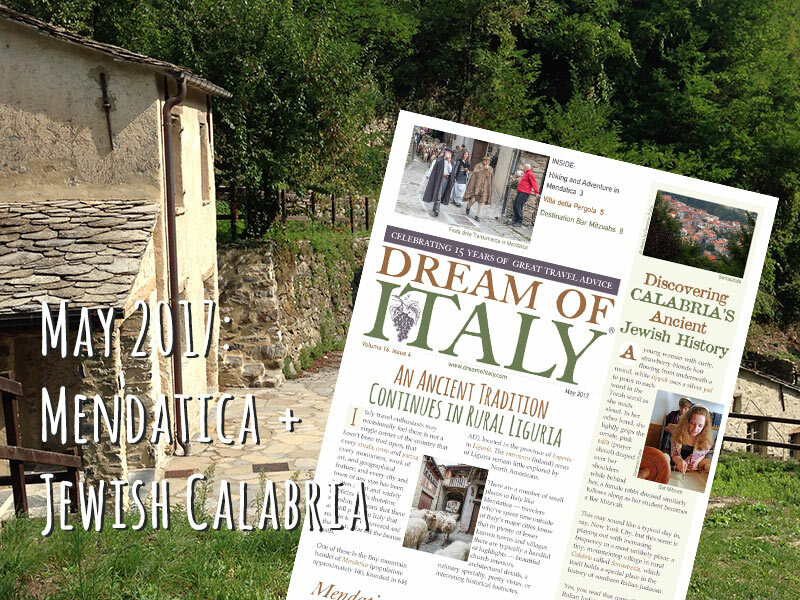 But Rabbi Barbara Aiello—Italy’s sole woman rabbi—is determined to bring this history to the forefront and help descendants discover and reclaim their heritage – in Calabria.